This item is on Back Order and will be available end of March. 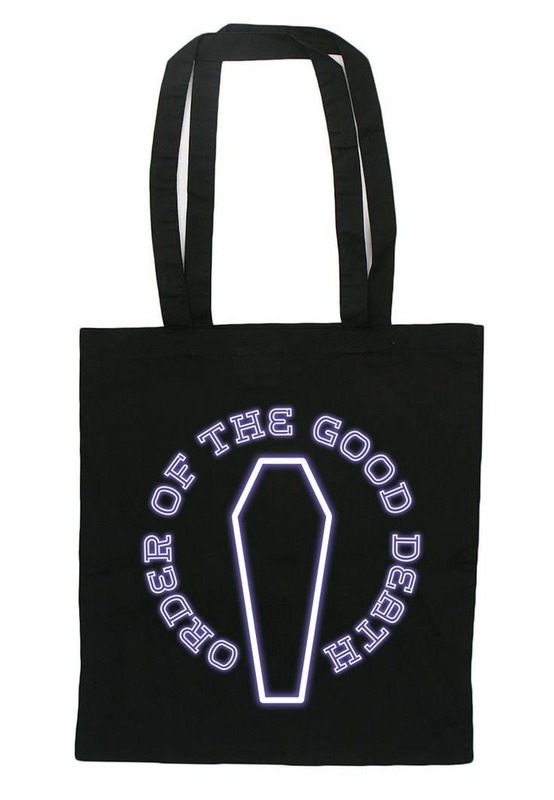 This 100% cotton tote bag features our latest Order of the Good Death logo designed by Landis Blair. 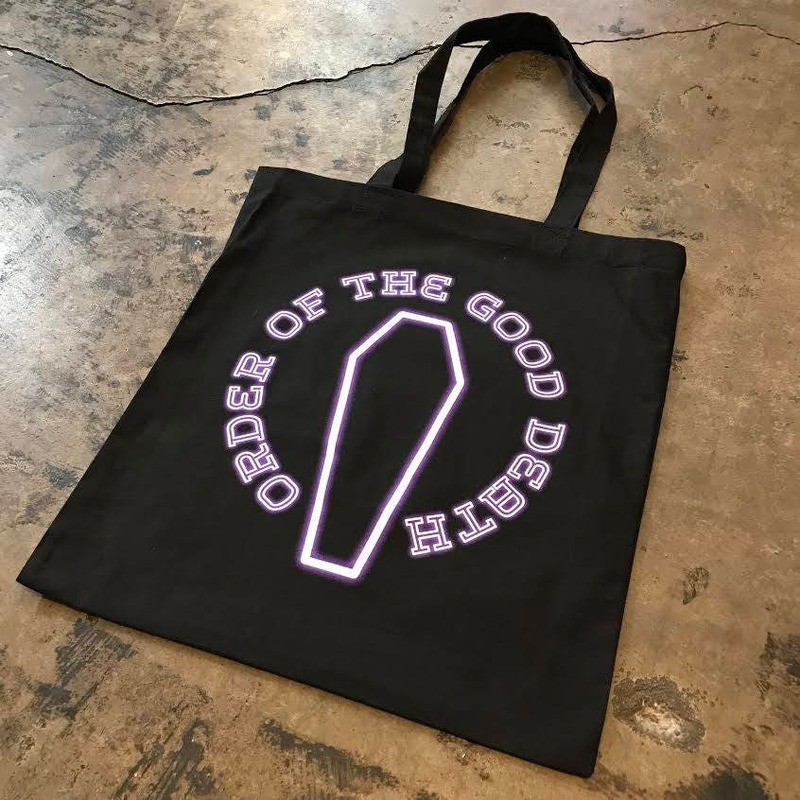 You can follow Landis on IG @landisblair and check out his other designs like "Corpse Meditation" and "My Corpse My Choice" on our site! The tote measures 16" x 14" with 10" handles. It is a simple cotton tote and does not have the square base like shopping bags. I add this to help illustrate the type of tote style. The bag is great. I had a small problem with mine that was taken care of almost instantly by Amber. Couldn’t be happier with the service given. 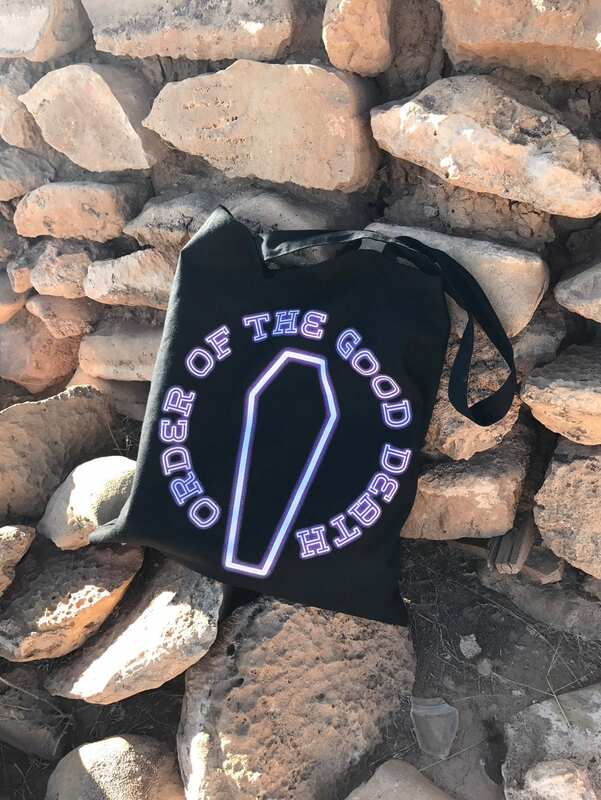 Bought this bag as a gift and thought it was perfect for someone in the funeral industry. Item arrived promptly & neat in the package. Seller communicated effectively when there was an issue. I like the overall story/mission and look forward to new items in the future! Love this bag!! Already been useful and fun to carry. Will proudly use as my go-to shopping bag!